Many people put their daily purchases on credit cards to track spending, earn rewards and add coverage like price protection to the items they buy. But what about bills such as utilities, student loans and insurance — should they be put on a credit card? Should I put non-debt bills on a credit card? Pro: In this Nerd’s experience, there’s a lot of upside to putting utilities, Internet, cell phone and automobile insurance on a credit card. If you have a rewards card, it will net you cash or travel rewards for spending on bills you have to pay anyway. It’s also nice to have your entire spending record in one place instead of having to check numerous accounts to see where your money went this month. Con: Some companies — especially small or local businesses — may charge convenience fees for credit card payments. You should check your payment agreement to see if this is the case. If you aren’t paying convenience fees, it may be a good idea to put these non-debt bills on a credit card. Of course, putting any charges on a credit card can be risky if your finances aren’t in a good place. You should only charge these bills if you have a handle on responsible credit card use and you pay off the entire balance each month. You don’t want to have to pay interest on insurance payments you made six months ago. Should I put rent payments on a credit card? Pro: Websites like WilliamPaid allow you to build your credit history while making rent payments through the site. Con: Using a credit card, even on sites like WilliamPaid, will cost you in convenience fees. Generally, the only fee-free method of paying your rent is through a check or direct transfer from your checking account. Note: In some cases, your landlord might accept cash. I wouldn’t advise paying any bill in cash, because you generally can’t prove you made the payment if a situation arises where you’d need to. Pro: It’s great that you can pay your rent with one or more credit cards if absolutely necessary. Yes, it will cost you, but it’s nice to have the option in a financial squeeze. In the future, it’s a good idea to build up an emergency fund for lean months. Here’s how! Unless you can’t afford to pay otherwise, or your landlord accepts credit card payments without fees, you probably shouldn’t pay rent with a credit card. 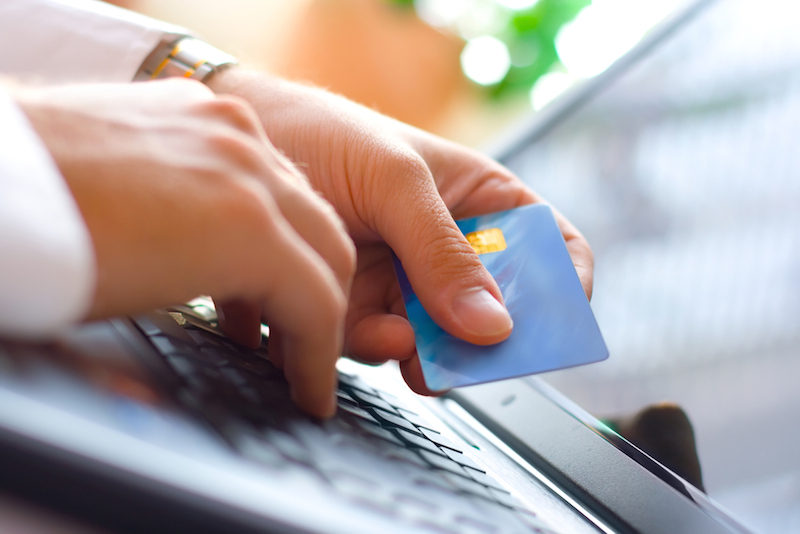 » MORE: Can I pay rent with a credit card? Should I put car or student loan payments on a credit card? Con: Many auto and student loan providers don’t allow you to make payments with credit cards. One exception: the U.S. Department of Education will take credit card payments on defaulted loans. Check your payment agreement to see if this is the case. If you can make credit card payments, you will likely have to pay convenience fees. Con: Car and student loan interest rates are almost always lower than credit card interest rates. In the event you’re unable to pay off your credit card balance, you could end up paying much more in interest than you’re earning in credit card rewards. It’s most likely not a good idea to put car or student loan payments on a credit card. Bottom line: Be aware of any convenience fees you’ll incur by paying your bills with credit cards. I’d suggest only paying for products and services that won’t charge a fee with a credit card, and using cash, a debit card or a bank transfer for the rest. And, of course, only use a credit card if you know you can pay off the balance in its entirety each month.